The Harley-Davidson LiveWire is creating plenty of interest at the 2016 Moto Expo in Malbourne. 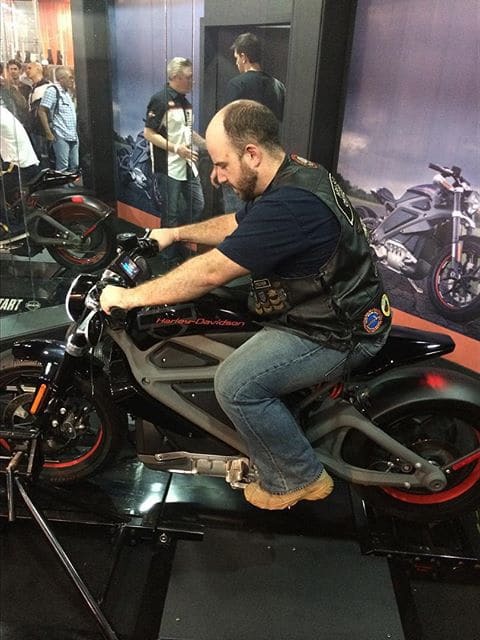 Harley-Davidson’s first electric bike prototype, the LiveWire, is attracting plenty of attention among visitors to the 2016 Moto Expo in Melbourne. 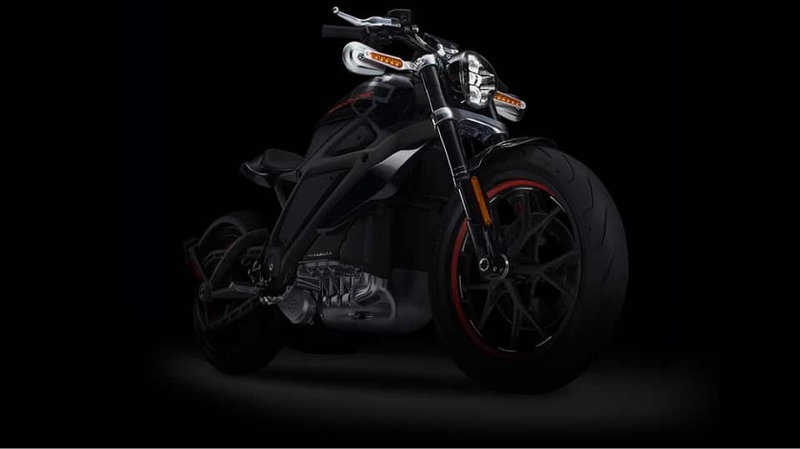 The Harley-Davidson LiveWire is one of the most interesting and intriguing machines on display at the show, not just because it’s an electric bike but because it is such a departure from Harley-Davidson’s traditional motorcycle models. The LiveWire was first shown to the media in June, 2014. At the time, then CEO (now retired), Keith Wandell said the model was part of an effort to reach a more diverse group of riders and was described as “the most radical departure in the 111-year history of the brand”. Harley-Davidson has never confirmed the motorcycle will go into production, but is clearly looking down that road and speculation is that it will be within the next 5 years. 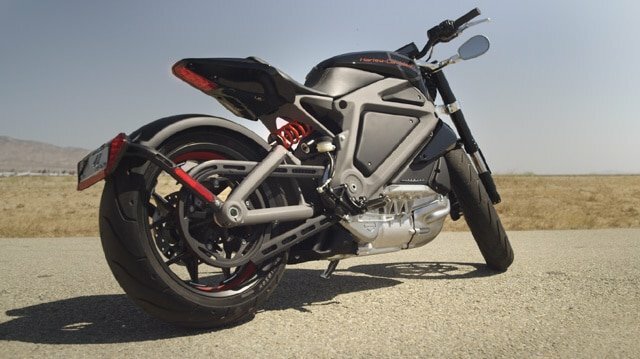 Prototypes have been touring the USA, Canada and Europe on the “Project LiveWire Experience Tour”, where people can experience what the bike is like to ride and of course Harley-Davidson is gathering feedback on potential customers’ reactions to the bike. 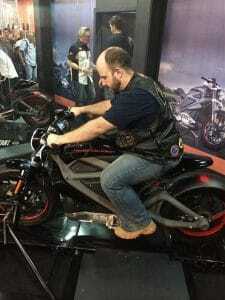 One way that has been happening is with Harley-Davidson’s Jumpstart Demo – a simulated riding experience where the bike is mounted in a specially-designed, stationary support stand. The JumpStart allows the bike to be ridden with no fear of losing control of the bike or it falling over, which means even people with no riding experience can test ride a Harley-Davidson. 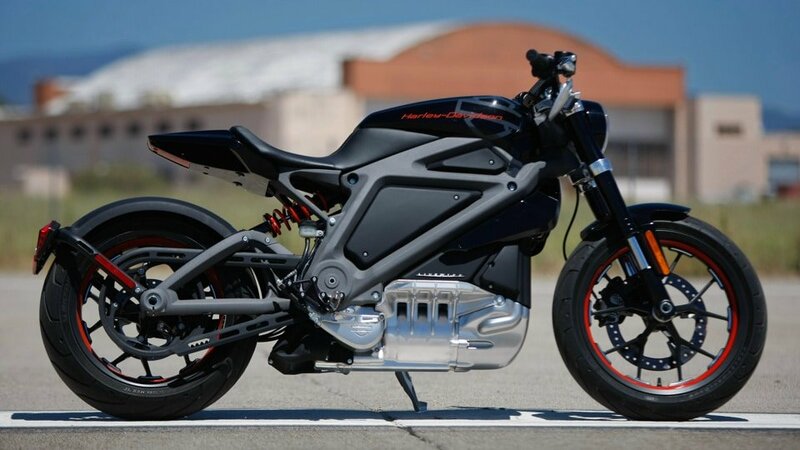 Harley-Davidson has broken with not just its own traditions with this bike, but even with those of existing electric bikes by mounting the engine longitudinally – the engine axis runs along the bike not across it. Drive from the motor goes through a bevel gear which gives the bike a very distinctive sound, and final drive to the rear wheel is through a belt. The motor generates 55kW and 70Nm of torque, and Harley-Davidson claim that can propel the bike to 100km/h in just under 4 seconds. It is electronically limited to a top speed of 95 mph (152 km/h) and currently has a range of approximately 80km and engineers are working to improve that range to around 150km. Total weight of the machine is around 210kg. Response to the LiveWire has understandably been divided. Some Harley-Davidson traditionalists are critical of the bike because it’s “not a real Harley”, and lacks the engine sound and vibration the brand is recognised for. But many, and this includes buyers who would be new to the brand, are embracing the concept as “the way things are going and it’s good that Harley are developing this type of motorcycle to stay in the game”.